HAPPY PROSPEROUS 2018 y’all and forgive my MIA a lot of personal issues along with Diligently smiling & dialing to make YOUR 2018 Rooftop Party Spectacular! GREAT GATSBY there is SO MUCH to update y’all on. 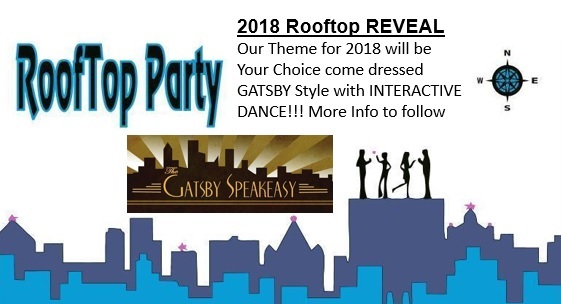 (Playing on THEME for 2018 Rooftop Party Suitcase Event theme “Gatsby/Roaring 20’s party!”) You can come dressed in the theme or just come Business Casual … just be there THURSDAY, March 22, 2018! UPDATES … the past four years we have worked hard but never quite got it together UNTIL 2018! 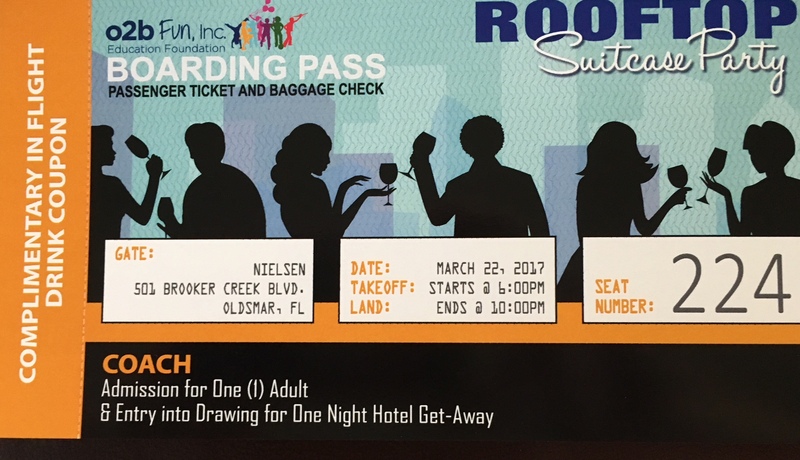 YEA our First REAL VIP party is COMING 3-22-2018 just before the beginning of the 5th Annual Rooftop Suitcase Party! Local Dignitaries confirmed: Congressman Gus Bilirakis or his rep; House of Representative Chris Latvala; and our own awesome Mayor Doug Bevis, Oldsmar Mayor. IN PROGRESS of Negotiations are: Mayor Joe Ayoub; Mayor George Cretekos; Mayor Bob Buckhorn; Mayor Julie Ward Bujalski and Honorable Senator Jack Latvala. NOW with that said … SPECIAL Buy One Get One (BOGO) going on ONLY from today, January 8 to February 7 in preparation for YOUR VALENTINE’S DAY! Purchase ONE Coach Ticket at $50 and Get Free ONE Coach Ticket. What does a Coach Ticket include? Entry into the event with Unlimited food, water, soda, beer, wine, Adult Infused Coffee, Mrs Suda’s Dance girls presenting CHICAGO, Live Music Entertainment, Silent and Live Auction all with GATSBY fun theme. REMINDER … 100% of the proceeds from this event go to provide Educational Scholarships to Tampa Bay Area Needy students. Since August 2014 we have given out 28 Scholarships to STUDENTS as well provided One Time cash donation to over 32 other schools or student oriented organizations. ALL Of this is ONLY because of our HERO ticket purchasers; HERO Donors; HERO Sponsors; HERO Auction providers; HERO attendees who purchase items while “in the house on this ROOFTOP PARTY!” THANK YOU ALL and please consider helping us so we can Help Your Kiddos. Our motto is EDUCATE + EQUIP + EMPOWER = Productive students who become employees or business owners who give back to their community. READY … SET … GO PURCHASE YOUR TICKETS NOW … REMEMBER PURCHASE ONE, $50. (Fifty Dollars) Ticket and Get One $50. Ticket FREE! NOTE, these tickets will have non-reserved table setting and YOUR VALENTINE IS SO WORTH an additional Night Out! Until next time … KEEP IT REAL … REAL FUN that is 🙂 Just Brenda … be sure to share on all social media!